The Model TE snowplow is designed for: rough terrain, poor road surfaces, raised manhole covers, thawed under snow and gravel surfaces. 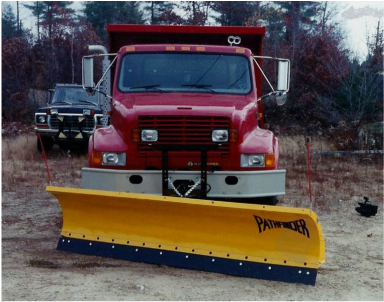 At Pathfinder Snowplows, we reserve the right under its product improvement policy to change construction or design details and furnish equipment when so altered without reference to illustrations or specifications used herein. 8 AM. to 4 PM. Saturday : 9 AM. to 12 PM.